Riesens have to be one of my all time favorite candies. My son likes them too. I like my son, but I still hide my Riesens from him when I buy them. Maybe this will make a great valentine for him. 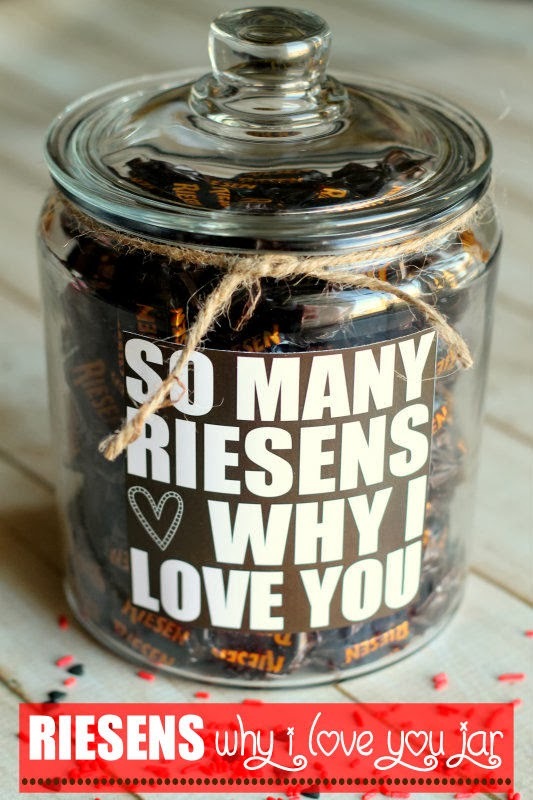 Kristyn even has a free printable I could use for this Riesens why I love you valentine jar. Or better yet, maybe someone *cough*cough*myhusband*cough*cough* will see this and give ME a giant jar full of Riesens! You can get the so many Riesens valentines printable over at Lil' Luna.